...Intelsat transponder services to enable digital terrestrial television (DTT) and distribution of high-definition programming. Under the first agreement, NURTS, the primary tower company and sole DTT operator in Bulgaria, will use capacity on Intelsat 12 at 45 degrees East to contribute content to its terrestrial towers for DTT services launching soon in Bulgaria. Intelsat 12 offers a favorable look angle to serve Bulgaria’s mountainous landscape, and its signals reach transmitter sites in even the most remote and rugged areas. NURTS provides terrestrial broadcasting for all national and regional television in Bulgaria. With more than 700 transmission sites across Bulgaria, NURTS provides a variety of media distribution services to national and international broadcasters and programmers. NURTS is in the process of switching off analog transmissions by September 2013, part of a mandate from the European Union. 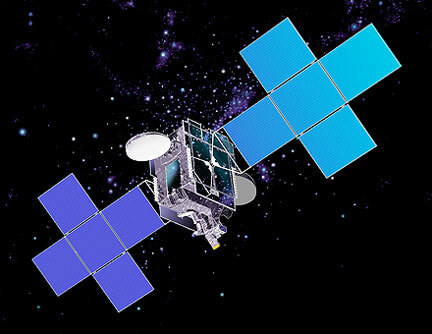 Intelsat currently provides proven DTT solutions in several nations, supported by advanced coding and modulation techniques that enable efficient use of bandwidth. Intelsat also hosts video neighborhoods that serve all of the populated continents, offering increased access to the most popular content that complements the programming distributed by DTT providers. In the second agreement, Bulgarian Telecom (VIVACOM), Bulgaria’s national telecommunications provider, also signed a multi-year agreement on Intelsat 12. VIVACOM plans to add HD programming to its recently launched DTH platform for delivery to viewers in Bulgaria, greatly expanding its current offerings. VIVACOM is currently the only nationwide provider in Bulgaria to offer a full suite of Internet, digital television, mobile and fixed telephone services to customers in Bulgaria at a flat rate.